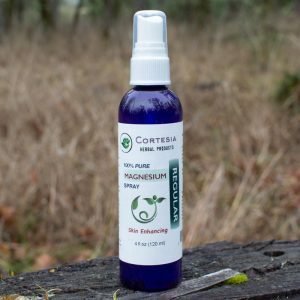 Our 4oz bottle of 100% Pure Magnesium Pro-Active Spray is more concentrated, containing higher amounts of MgCl than our Regular strength, but the same potency as our Optimal spray. It is empowered with 3 Organic Essential Oils (Lemongrass, Sweet Majoram, Vetiver.) for deep cellular regeneration and skin nourishment. You can also dilute this spray with pure or distilled water. Use before activity for energy, focus, relaxation. Use after activity for muscle and joint recovery, relaxation & calmness, and energy regeneration. Apply immediately to an injury, strain, overuse, etc. 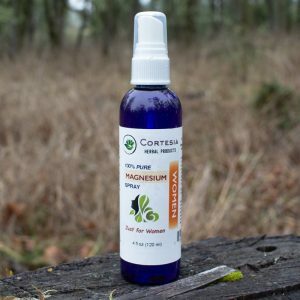 Our 100% Pure Magnesium Pro-Active Spray is more concentrated, containing higher amounts of MgCl than our Regular strength, but the same potency as our Optimal spray. It is empowered with 3 Organic Essential Oils (Lemongrass, Sweet Majoram, Vetiver.) for deep cellular regeneration and skin nourishment. You can also dilute this spray with pure or distilled water. 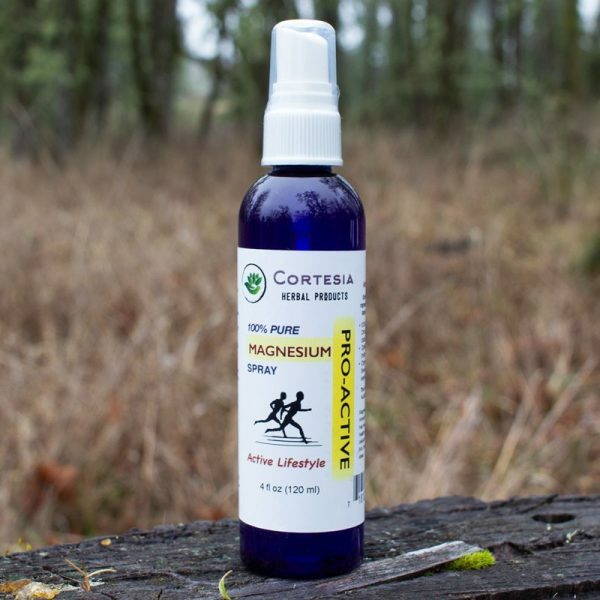 AMOUNT OF MgCl: Over 60mg of elemental Magnesium per 3-4 sprays, or over 600mg per teaspoon (about 40 sprays). 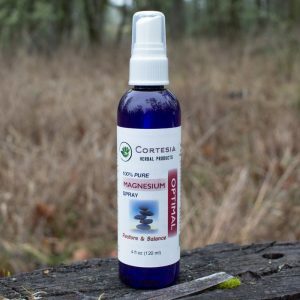 Our 4oz spray bottle contains over 24 teaspoons — the equivalent of over 14,400mg of Magnesium, or about one month’s supply of Magnesium.